This bloodstone mala necklace has deep, dark garnet marker beads surrounded by pewter brass findings. It ends with no tassel, in a pendant shape with one small glass bead and one copper one. Bloodstone symbolizes courage and heart health, and garnet symbolizes creativity, prosperity, and manifestation. There are many more meanings, but these are my favorites. Measures about 21 inches long when doubled over. Strung with love and prayer on strong beading wire. Not suitable for wrist wrapping because it's strung more tightly than a traditional mala. And finally, the bloodstone beads are 8mm and the garnets are 10 mm. 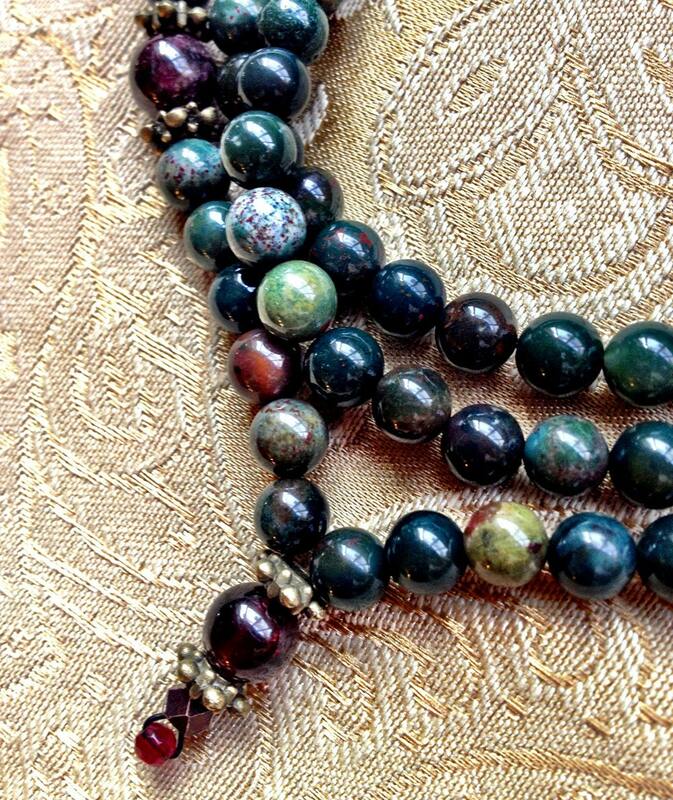 The bloodstone beads of colors other than green are expertly distributed throughout this mala creating a wonderful variety of subtle color, and the deep red garnet beads are a perfect contrast to the many shades of green. 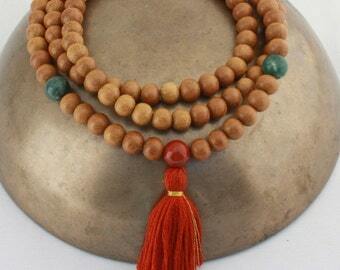 I find this mala to be very calming and grounding.